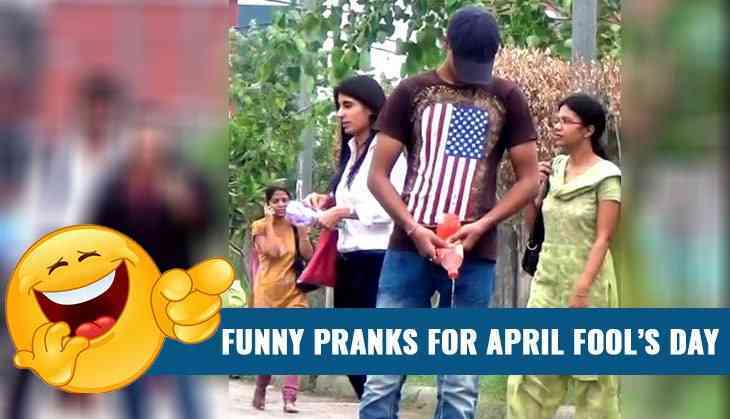 If you are prank lovers then, 1st April is the best day to play pranks with your friends and family members. Because today’s date is observed as the April Fool’s Day. On this day, several pranksters get alerted to play pranks. However, one should keep in mind that a prank should be harmless. Also, one should also do proper homework before trying out any prank. If you are not getting any good prank idea then we have brought some harmless pranks that will tickle your funny bones! As you have heard on Radio that how RJs used to play phone pranks by making a fake call. 2. Shout the name of any insects! The most favourite prank that used to play on April Fool’s Day since childhood. If your friend is sitting in a relaxed position or busy in doing something then, shouted the name of insects or reptile and witness the drama later on. If you’re thinking to play a prank out of your home or on the road, then, try out on road pee prank. However, it might be awkward for commuters but it can make others laugh. You just need to take a water bottle with a small in the bottle’s cap. Just stand in the opposite direction and faking out people as you are peeing on the road. A gift is the best way to play a prank with your friends. Take a box of any famous brand which your friend love and keep some stones or any other thing to make your April Fool by fooling him/her. 5. Try out new water flavour! It would be fun to replace the drinking water with 'nimbu pani', lemon soda or salty water in your friend’s water bottle and wait for his/her reaction after drinking it. Try out these pranks with your near and close one..
Tell us if you have any new idea to play a prank on this April Fool's Day!